Newly re-branded charity, Diversity Matters North West, are putting on a great afternoon of fun in honour of women’s achievements over the last 100 years. 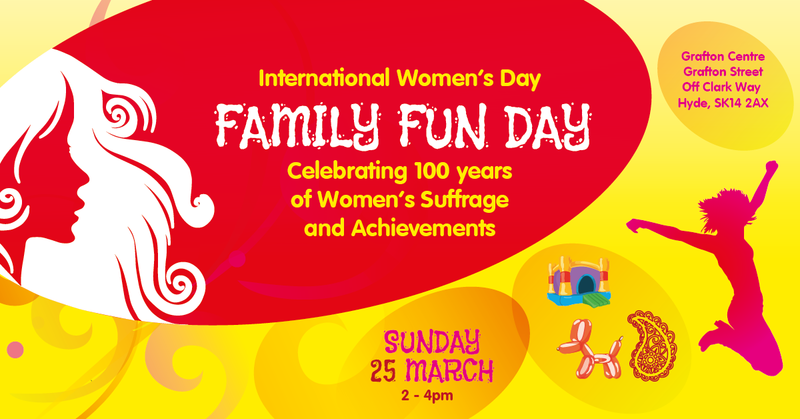 The event is on the Sunday the 25th of March, 2-4pm at the Grafton Centre, Grafton Street, Off Clark Way, Hyde, SK14 2AX. Previous: A decade behind us, new goals ahead of us!